Lisa Johnson blogs at TrueFoodMovement.com, where you can find healthy recipes and fun ideas about food. Hot dogs, burgers, ice cream…summer parties can wreak havoc with your waistline. 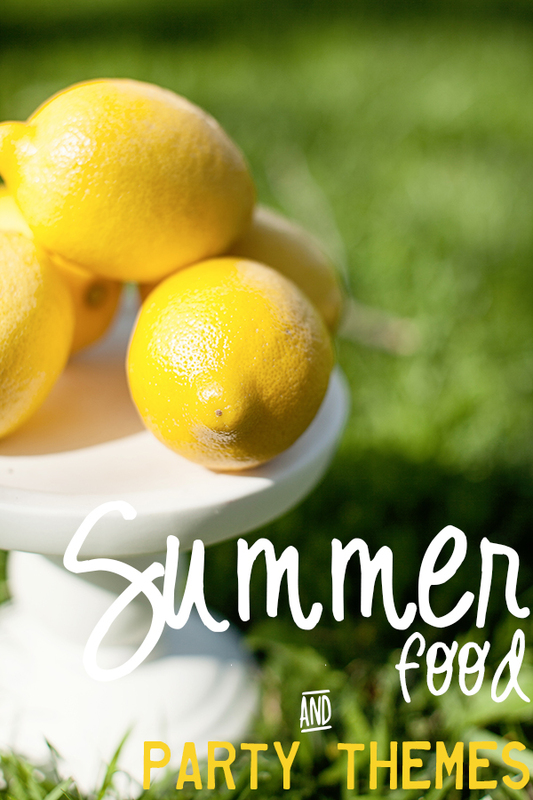 We’ve got five summer party themes that let you kick back and enjoy yourself instead of counting calories. 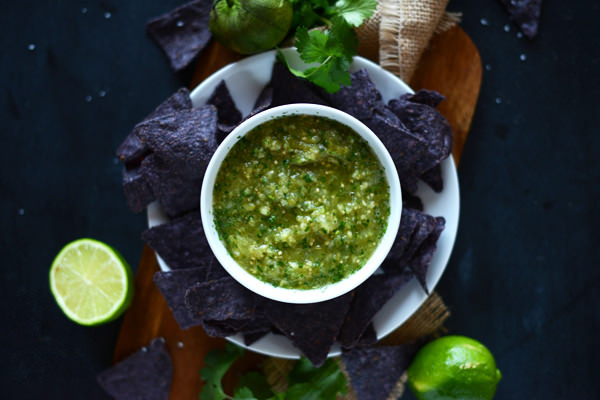 Think more salsa, less queso. Mexican food comes from fresh ingredients and simple preparations. There are a lot of healthy Mexican dishes such as ceviche, a taco salad, and fajitas with whole wheat wraps. There are only 146 calories in a Corona, so you can even enjoy a little beer. I very much grew up in a meat and potatoes household. Our dinner menus were as predictable as the negotiating was to get out of doing dishes. Every night there was a meat entree — ground beef made into burgers, meatloaf, sloppy joes — with some form of potato — be it baked, mashed, or frozen fries. A side of canned green beans or corn would round out our plates. And for dessert we never received more than two small sandwich cookies. This is my comfort food. This is what I fall back to when I’m homesick, too exhausted to think through a meal plan, or just want to keep things really simple. Have you noticed this trend? 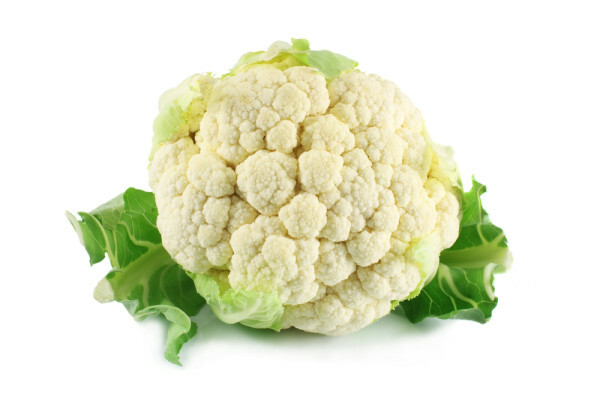 We’ve been spotting cauliflower recipes all over the web and cauliflower dishes on restaurant menus, sort of like Brussels sprouts circa 2019. 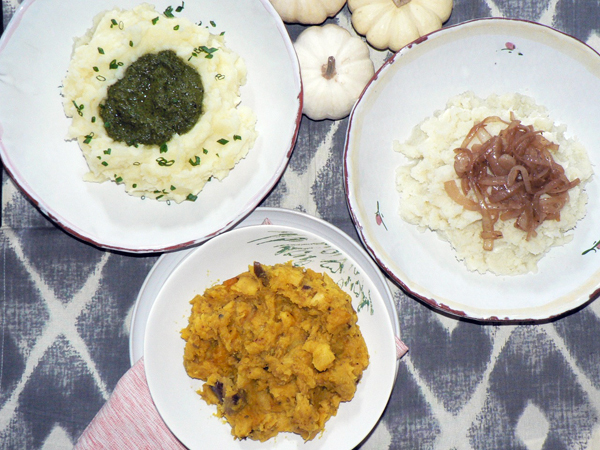 Like the mashed potato idea you may have heard of but with a summery twist! 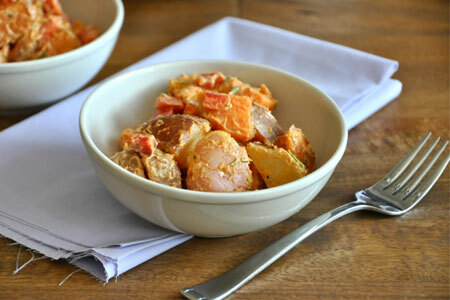 This recipe for “mock potato salad” is brilliant. There are no potatoes in this salad, but cauliflower instead. Everything else you will recognize from your favorite potato salad recipes: eggs, mayonnaise, celery, mustard, dill. Warm weather friendly! For me, bad weather in Portland generally spells the start of bowling season. I play in a weekly winter league with 5 of my friends. Our team name is “The Thunderballs”, and what we lack in skill we more than make up for with laughs and good conversation. This past week I was running late and didn’t have time to eat dinner before arriving at the alley. I scanned the menu for something healthy and, finding nothing, ordered chicken tenders with a side of tater tots. My teammates arrived, and one by one, more orders of tots appeared on the table. Without meaning to, our team of 6 wound up with at least 4 big plates of the deep fried potato poppers. It turns out greasy hands—and slippery bowling balls—is just one hazard of this type of meal: Tater tots have 160 calories per 9-piece order, and each plate came with 50 or so tots. 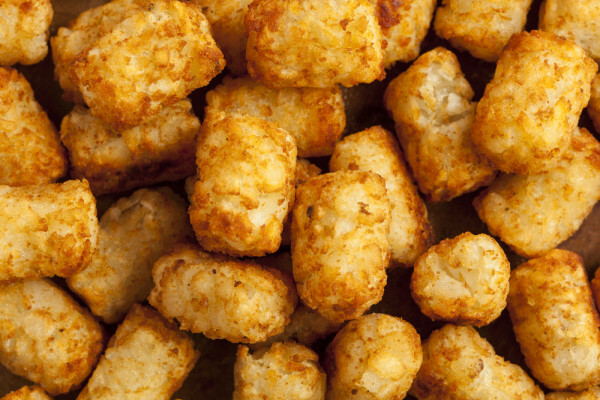 I would gauge my consumption at around 30 tots, or 533 calories. And that’s not including the dipping sauces, which included ketchup and ranch dressing that evening. New on our “cozy food” seasonal menu rotation is a made-over classic. It’s the Shepherd’s Pie like you’ve never tried it before. It’s usually not my thing – loaded with lamb and mashed potatoes – two foods I don’t particularly care for. But I’ve got a pretty big thing for the baked potato. I made a Shepherd’s Pie that’s a little leaner, bigger on flavor, and maybe even cuter. Call them miniature. Call them single-serve. Call them dinner! 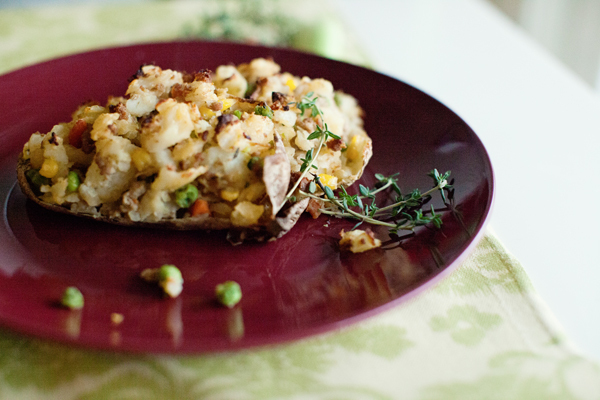 These Twice-Baked Shepherd’s Pies are bound to be a staple of your winter menu. I skipped the mashed potatoes because, like I said, I’m a little un-American and truly can’t stand the stuff. But, a baked potato, much less one that’s been baked twice, I’m all over that. There is one serious food rule in my family: if my Grandpa asks you to pass the mashed potatoes do not serve yourself on the way over to him. He called that a “mashed potato short stop” and proclaimed if you “short stopped” in the Army the penalty was a scoop of mashed potatoes in your face. My family takes mashed potatoes very seriously, and even though my Grandpa passed years ago we still uphold his “no mashed potato short stop” rule and have a deep respect for the honorable dish at our Thanksgiving table. I made a dedication to embark on this makeover with an equally serious devotion. You can remake a mash, but you better be sure it is delicious and worthy of its own set of beloved table rules. As far as I’m concerned if you start a vegetable mash with extremely fresh ingredients you will end up with something delicious. It seemed only logical then to begin this makeover with a trip to my local farmers market. Off I went without specific recipes in mind. I allowed the seasonal bounty to inspire. I came home with veggie loot to brag about and knew I was well on my way to a delicious party of mashes. I can say that the Fourth of July is my hands-down favorite holiday of the year. It’s smack dab in the middle of summer and everyone is happy. It’s a good-time vibe all day, and usually all weekend when the holiday doesn’t fall on a Wednesday. Like most Americans, I love the food aspect of these patriotic celebrations. 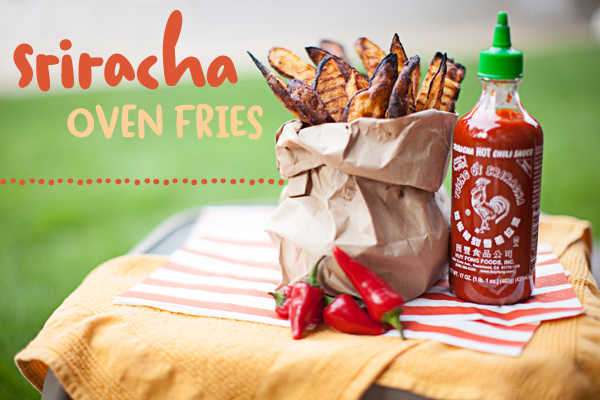 Picnic food has got to be some of the best, but it tends to be some of the worst for us. Just like I had to rethink my go-to beef burgers and swap them for a pretty tasty turkey burger, I had to rethink my sides. Particularly potato salad. One of the problems with the American diet seems to be that fresh, nutritious produce is unaffordable or not easily accessible to many segments of the population. However, research presented recently at the American Dietetic Association’s Food and Nutrition Conference and Expo demonstrates that one of the best nutritional values in the produce department, providing significantly better nutritional value per dollar than most other raw vegetables, is one that is easily accessible, practical, and loved by most: The white potato. 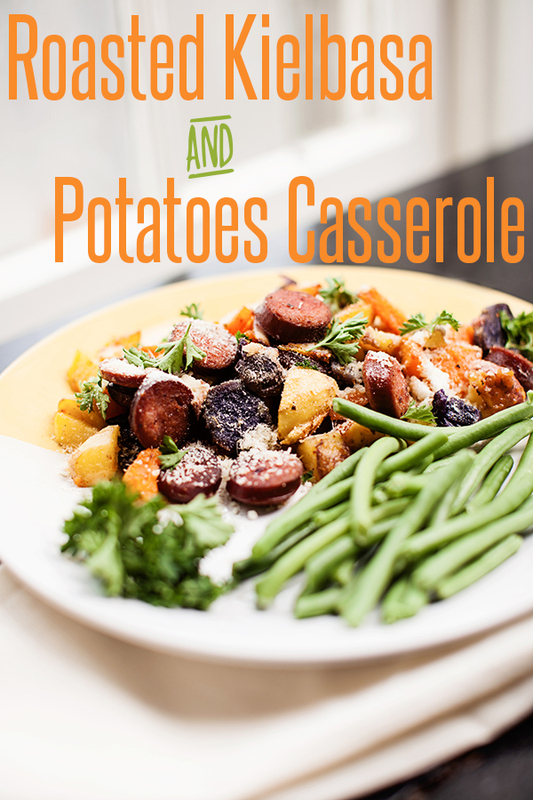 Per serving, white potatoes were the largest and most affordable source of potassium of any vegetable or fruit. Dr. Adam Drewnowski and colleagues from the University of Washington complied nutrient data from the USDA Food and Nutrition Database for Dietary Studies with the USDA Center for Nutrition Policy and Promotion national food prices database. They found that potatoes were the least expensive source of dietary potassium, a nutrient identified by the 2019 Dietary Guidelines as lacking in the American diet. The cost of potassium-rich white potatoes was half that of most other vegetables. 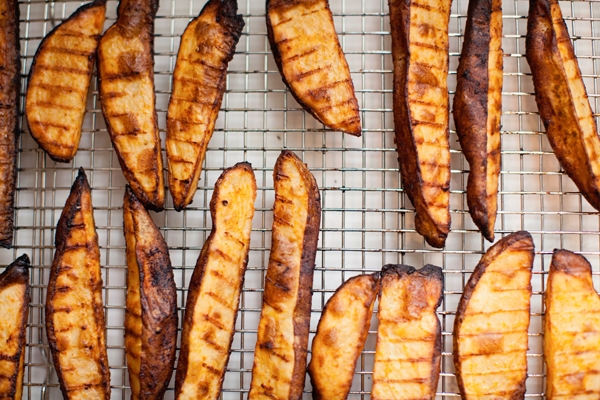 If you heard that schools were limiting their potato offerings, you’d probably be in support. After all, when you think of potatoes in a school lunch you probably imagine French fries and tater tots, yes? 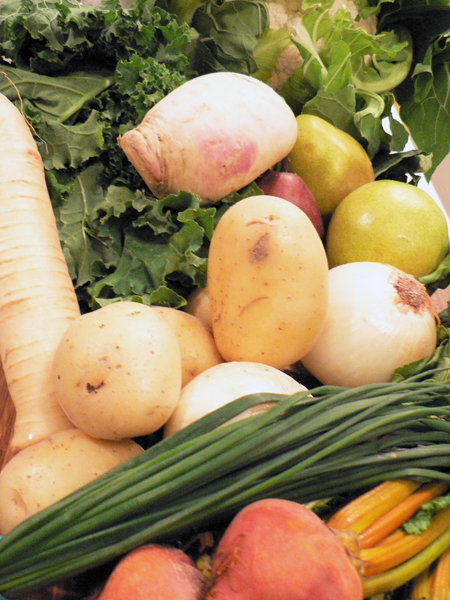 In fact, when children are given a choice, 75% of the time they choose the starchy vegetable – i.e. French fried potatoes over any other vegetable. New proposed federal standards would like to trim the number of times per week that potatoes can be offered on a school menu to just two, but this may not be such a smart idea. The USDA has proposed increasing the amount of fruit, leafy vegetables and whole grains served to school children every day while limiting corn, lima beans, peas and potatoes, but not sweet potatoes. Not so fast, says Colorado Senator Mark Udall. Not only would reducing the servings of potatoes negatively affect potato farmers, but potatoes are actually a very nutritious vegetable. One medium-size potato, skin on, contains 110 calories per serving, with more potassium (620 grams) than a banana, and almost half the daily value of vitamin C (45 percent). 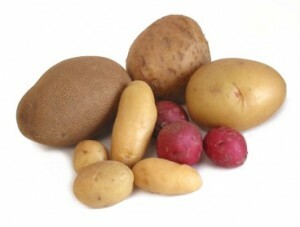 In addition, a potato is high in fiber, and potatoes don’t contain fat, sodium or cholesterol. 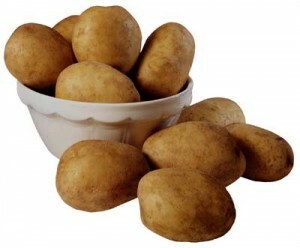 It’s only when potatoes are fried, coated in butter or served with sour cream that they become a nutritional nightmare.